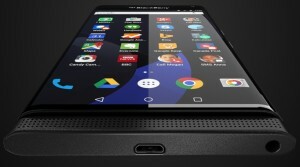 Blackberry claims to launch its first android phone soon as they are preparing for it. It is saying that this phone will look like Samsung Galaxy S6 Edge, as they will have curved sides. Many people believe that it is the last attempt to prove themselves in concern with the Screen touch as their last sales were so disastrous of BB10 handsets. As per the information from Evan Blass who have posted the leaked images for the upcoming phone of Blackberry, also says that this phone has a codename too and that codename is Venice. Before this year, it was saying that Blackberry is developing a phone with the Android software of Google first time. According to four sources of this issue that the step is seen as an acknowledgment that it is restore series of devices that has failed to prevail mass appeal. It is rumoring that it has also a slide-out keyboard that which unclear that how an Android can build like this if it has a curved display on both the sides. Therefore, it is appearing like a tight squeeze. However including a slide-out keyboard to its coming first Android phone would be a better step for Blackberry. Blackberry is making most of their money only from the software services, not from the hardware services. Now including software on it Android phones, it could enhance its both the hardware and software services. The company has already spent most of their effort and money in getting the Android ecosystem for their Blackberry phones while also developing its own apps for the handsets, whether these are Windows Phones or iOS.